For IT News Week 1 Jan 2018. 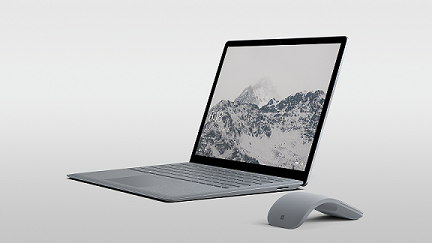 Surface Laptop is the perfect balance of portability, performance and elegance, and is more than just a traditional laptop. Powered by Windows 10 S, Surface Laptop is engineered to start fast and stay fast with a 7th generation Intel® Core™ processor and up to 14.5 hours of battery life to last through the day. 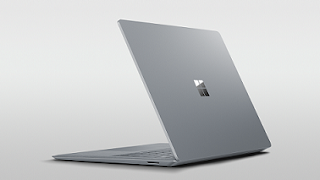 At just 1.25 kilograms and less than 14.5mm thin, the Surface Laptop fits nicely into your favorite bag, and is lightweight for users to bring around. At CES, McAfee announced the availability of McAfee Identity Theft Protection, to help consumers protect their personally identifiable information from identity theft and fraud. McAfee Identity Theft Protection makes protecting consumers’ identities simple, with always-on identity monitoring, 24/7 dedicated agent support and varying levels of identity theft insurance. D-Link and McAfee: Today, consumers are moving beyond using just laptops and smartphones to introduce connected lightbulbs, TVs, cameras, vacuum cleaners, doorbells, and more into their homes. The new D-Link AC2600 Wi-Fi Router Powered by McAfee provides consumers with a comprehensive solution that automatically increases security for devices on the home network. McAfee – The One Stop Security Shop: Since manufacturers are rushing to connect almost everything to the internet from devices, toys, appliances to cars, it only makes sense that security also evolves to deliver protection across every point of connection. With the addition of McAfee Identity Theft Protection, McAfee Secure Home Platform, McAfee Safe Family and McAfee Safe Connect, users can have peace of mind in an ever-changing digital world fuelled by volume, speed and complexity. ASUS and McAfee: McAfee LiveSafe is now provided on all ASUS consumer notebooks, desktops, tablets, mini PCs and gaming systems shipped worldwide. 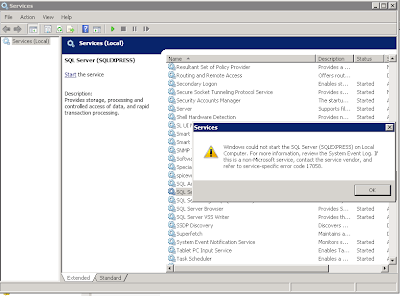 After the 30-day free trial, users have the option to purchase a full subscription. 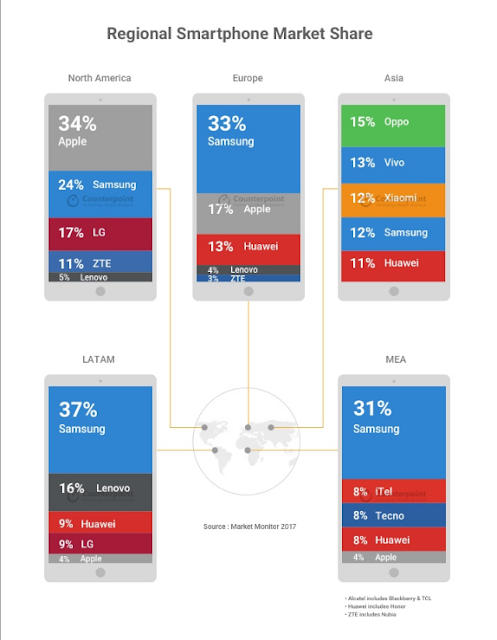 A recent market monitoring report by global industry analysis firm, Counterpoint has illustrated the No.1 status of OPPO in Asian market. Taking up 15% of the market shares in the total shipment of Asia Region, OPPO has topped other smartphone brands in the third quarter of 2017 with its core product range that is carrying the latest technology on the front and rear camera, and its successful marketing strategies. In year 2017, OPPO has introduced its groundbreaking innovation from being the first in the market to upgrade its selfie technology to include A.I. Beauty Recognition technology. The marketing strategy in focusing product’s innovation has lead OPPO to become the first place in Asia’s market. Singapore firm KaHa, a smart wearable technology and IoT solutions provider, is pleased to showcase their smart wearable applications at CES 2018. KaHa was handpicked by IE Singapore as part of the national delegation, and is exhibiting at CES’ flagship startup and innovation-centric venue Eureka Park. The company is unveiling its Smart Wearable Operating System which supports a range of technology verticals: Safety, Sports and Fitness, Health & Wellness, and Health, Convenience, Lifestyle, and Special Needs. Stress Management – The platform learns the individual user’s living patterns and bio-data such as their metabolism, and records a series of trackable parameters which are picked up by the smart wearable. Through machine learning and deep pattern matching algorithms, the data is paired with the wearable’s stress alerts feature, helping the user be more aware of their wellness - for instance detecting periods of heightened stress and guiding the user through breathing experience to regain their composure. 74% of businesses are already leveraging public clouds to store their data in cost-effective, easy-to-maintain and agile environments. This seems like a good thing, until you consider how challenging it is to protect that very data regardless of where it lives. What can IT leaders do? One way is to learn from successful sportsmen. From basketball to soccer, and even e-sports like Overwatch, the best defence is often a good offense. Adopting this strategy can help businesses better protect and manage their data, and for good reason – you can’t defend your opponent (relentless hackers) to death. 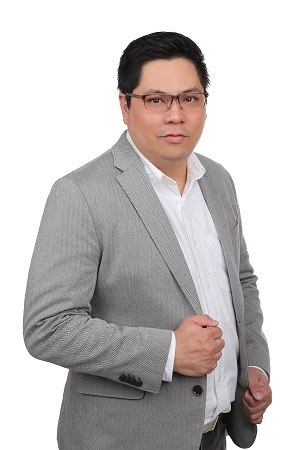 We would like to share this article titled ‘Going on the Offensive – Managing Your Most Strategic Asset: Data’, by Gary Lim, Director, Systems Engineering, Commvault. While readers are tired of the same old rhetoric, Gary explores how IT leaders can side-step data management obstacles through a more relatable and novel example, in order to help them get a leg up on the competition. Whether or not your readers have fallen prey to data breaches, now is likely the time they are looking for new strategies to consider as they gear up for the year ahead. Check out the full article. Alongside with rewarding the supportive Olike fans, Olike Malaysia will be having a Olike Malaysia Trade-in programme that allow consumers to enjoy 18% discount in return when they trade in their defected USB Data Cable within the Olike Trade-in days, which is from 11th January 2018 – 11th February 2018 at any Olike Retail Store or Olike Authorized Dealer Store. Lenovo kicked off the Consumer Electronics Show today with the latest innovative products to share our vision of “Different Makes Your Reality Better.” In an exciting era powered by IoT and AI, Lenovo is innovating to be at the forefront of these major shifts. Through our latest launches of the Lenovo Mirage Solo with Daydream Headset, Lenovo Mirage Camera, Lenovo Smart Display, Lenovo Miix 630, ThinkPad X1 family and ThinkPad X, T, L series, we’re empowering consumers with powerful new ways to live, work and play. 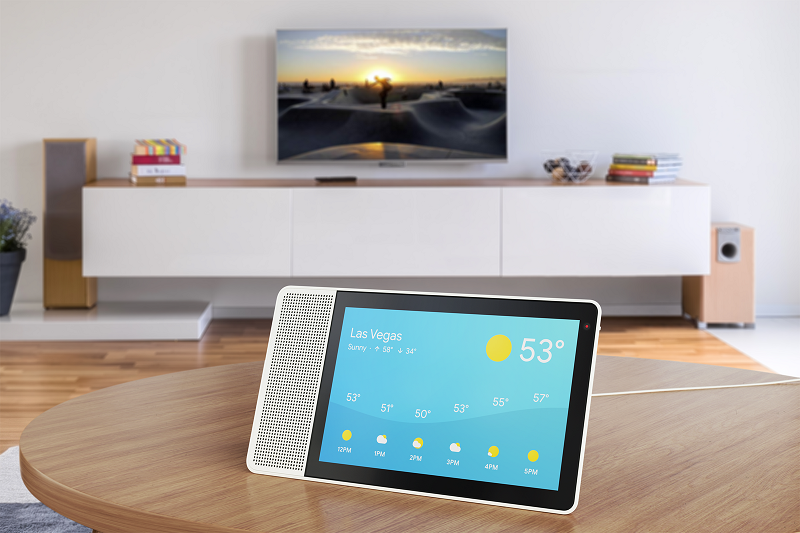 For example, Lenovo Smart Display with Google Assistant built-in makes using technology at home more convenient, intuitive and shared. Controlled by voice and touch, it is designed to help users around the home – from watching YouTube videos to video calling friends. Available in 8-inch or 10-inch screen models, Lenovo Smart Display can switch effortlessly between portrait and landscape modes based on your viewing comfort. 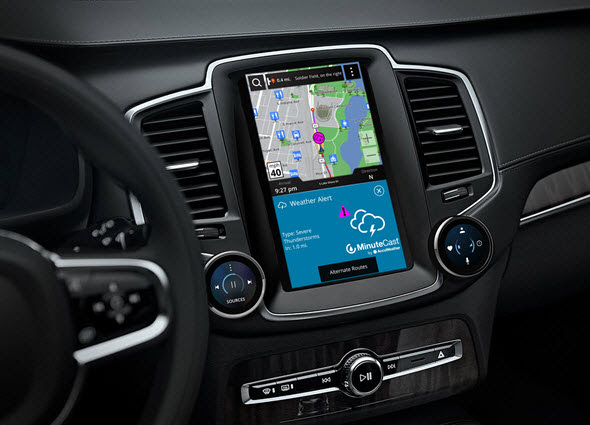 AccuWeather, the world's largest and fastest-growing source of weather forecasts and warnings and a global leader in digital media and weather-related big data, today announced AccuWeather Go™ will be demonstrated by Garmin in its new scalable infotainment platform for Automotive Original Equipment Manufacturers (OEMs) at CES 2018 in Las Vegas. This joint effort is the first public demonstration of the revolutionary AccuWeather Go, with patented MinuteCast®, and Garmin routing algorithms to deliver minute-by-minute weather conditions for any road trip. AccuWeather Go™ provides the next level of personalized weather innovation for travelers to keep them informed and safe on the road. AccuWeather's multi-point API seamlessly integrates patented AccuWeather MinuteCast® minute-by-minute, hyper-local forecast data with navigation services based on a user's specific route, at every point and time along the way. It gives users increased situational awareness when a weather event -- and the severity and duration of that weather event -- will impact their journey, down to the minute and exact GPS location. HID Global®, a worldwide leader in trusted identity solutions has unveiled the latest in its Direct-to-Card (DTC) printer/encoder line, bringing new convenience and security features to its proven entry-level offering while further reducing ID card printing expenses for cost-conscious organizations. The DTC1500 printer/encoder’s standard, built-in security features include a new custom watermark capability for applying transparent logos, symbols, text and other permanent security images within the overlay panel. Virtually impossible to duplicate, the watermarks increase card security without requiring an investment in holographic overlaminates or foil cards. A unique data protection feature makes information printed within the resin panel unreadable, and additional security is available through standard password protection and AES 256 data encryption. One of Naina’s immediate areas of focus will be enhancing the cybersecurity company’s distribution framework and taking over Kaspersky Lab’s new telesales business, which is expected to be fundamental to the company’s SMB growth strategy in 2018. Naina has more than 17 years of experience in enterprise sales & partner management working with global industry leaders like Microsoft and Autodesk, across diverse business functions, industries and cultures. In this role, Naina will work closely with local teams across APAC to ensure resources in the channel ecosystem are optimized. 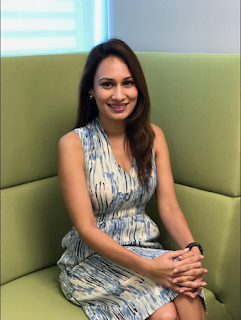 She will be responsible for intensifying the partners’ competitive advantage as well as rolling out Kaspersky Lab’s new global partner program for APAC. McAfee, one of the world’s largest pure-play cybersecurity companies, has recently announced the completion of its acquisition of Skyhigh Networks, establishing itself as the leading cloud security company. Nearly every day a new headline, and the resulting impact from that breach, explains why organizations need to control their data as it flows to and from the cloud. In fact, 93% of companies use some form of cloud services already, according to a recent McAfee report. That’s why McAfee and Skyhigh are joining forces to address the needs to protect what organizations consider valuable data to ensure their networks, workloads and data keep secure. Skyhigh Networks pioneered the cloud access security broker (CASB) market segment. ECOVACS ROBOTICS, an innovator in robotic home cleaning technology, today announced it is a CES Innovation Award Honoree winner for its Cordless WINBOT – WINBOT X. The first-of-its kind original WINBOT revolutionized the window cleaning experience in 2011. In its latest iteration, the now cordless WINBOT X moves freely along windows as it cleans, rather than being limited by the robot’s proximity to a power source. Additionally, the newest generation of WINBOT boasts four new safety features, allowing the WINBOT to adapt to your window, and move intelligently and safely. DEEBOT OZMO 930 includes feature for Smart Navi laser scan mapping, the same technology in autonomous vehicles, to create accurate maps for efficient cleaning routes.